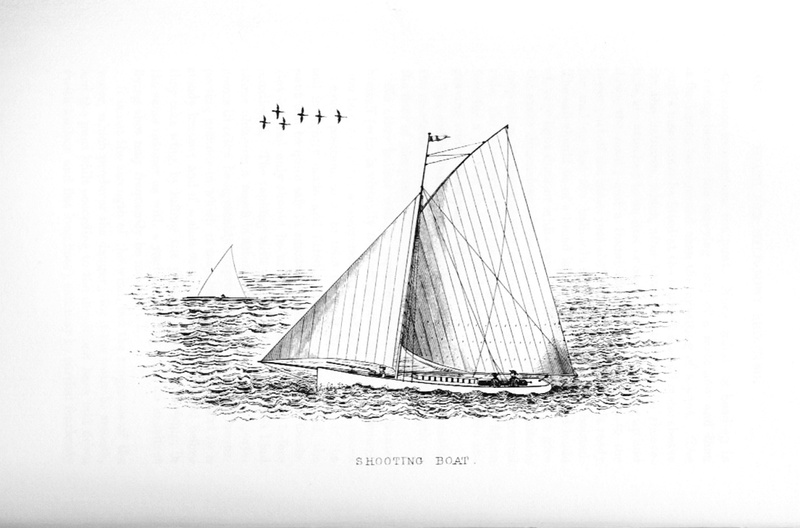 A few days ago a correspondent named Graeme reminded me that H C Folkard’s 19th century book The Sailing Boat includes a fair number of pages about boats used for shooting wildfowl, and commented that some of them seemed a little extreme. Folkard makes some memorable points. The advantages of two-handed punts are, that they carry a larger gun than others; sometimes a full-sized stanchion gun that throws from one and a half to two pounds of shot at a charge, making fearful destruction among large numbers of wild-fowl, and, when loaded with mould-shot they sweep the water from sixty to one hundred and twenty yards, spreading terrible slaughter among the feathered tribe. It sounds more like a kind of madness than a sport, at least to me. Sailing the small gunning punts does sound like fun, however, but Folkard issues a clear warning about what they can and cannot do safely. For an intheboatshed.net post about gun punts in the East of England including a splendid quotation from Victorian scholar and man of the cloth Sabine Baring-Gould, click here. For a little on a gun punt in Ireland, click here.